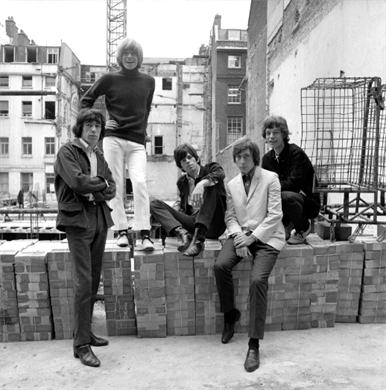 There’s a great photo exhibition on in London with images of The Rolling Stones and Jimi Hendrix. If NME photographer Dean Chalkley has the best job in the world, then running him a close second is a man I met yesterday. Guy White is the owner of Snap Galleries, a specialist rock n roll photo gallery based in Piccadilly, London. He has just launched a new and unique exhibition of classic photographs by legendary rock n roll photographer Gered Mankowitz. 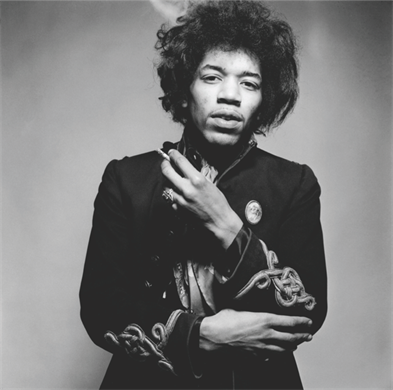 I first came across Mankowitz’s work in the book A Star Is Born which showed an amazing image of Jimi Hendrix called Red Smoke taken in 1967. 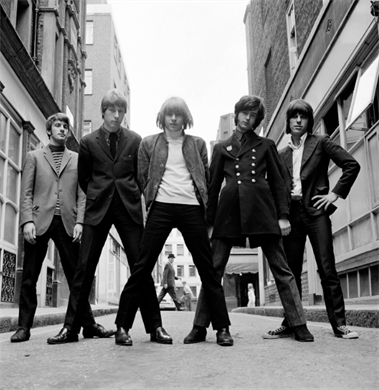 Some further shots (like the one above) from this session are featured in this latest exhibition, which surprisingly is Mankowitz’s first career retrospective..
His pictures of the band taken at his studio in Masons Yard (and a great image above of The Yardbirds with Jimmy Page second from the right) featured in the Beatles to Bowie exhibition at The National Portrait Gallery in 2009. The Snap Gallery has built up a strong reputation for rare, iconic rock photography and is displaying a hundred and two images over two floors in an unusually small (8×10) format all in black and white and made by hand from the original negatives. All photos are available for sale in limited editions of only nine prints at this smaller size – images which surely are as small and appealing as Pippa Middleton‘s bottom. 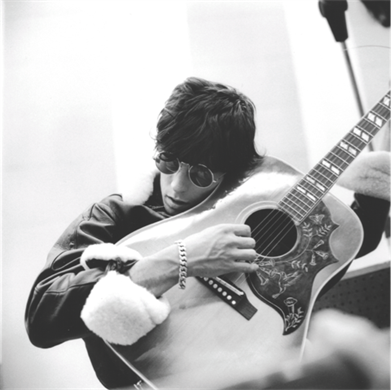 The Gered Mankowitz exhibition runs from 28th April to 16th June. 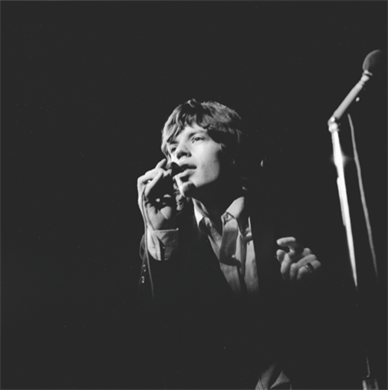 ‹ The Top Ten Best Rolling Stones Books…ever!